Summary: The BPRD have a new member: a young oddball schoolgirl with electrokisis named Juliet. When her electrical powers created a large thunderstorm and causes the BPRD's power to go out, it's Abe to the rescue to comfort the newest BPRD member. Summary: A little story in honor of the latest "Hellboy" comic, "The Wild Hunt". Mild spoilers for the ending. Please read and review. Summary: Just a little Holiday oneshot featuring a young Hellboy. Please read and review. Summary: The death of Trevor Broom from the 2004 movie "Hellboy" told from his POV. Spoilers if you haven't seen this movie. Summary: Just a post-Golden Army oneshot in honor of the holiday. Beware spoilers. Please read and review. Summary: Movieverse. This is a little post-Golden Army Liz/HB scene and will contain a spoiler. Please read and review. Summary: A series of free form haikus based on the characters from the first movie. Please read and review. Summary: Spoilers for the first movie. A picture is, indeed, worth a thousand words. If you've seen the first movie, recall the scene of Hellboy with his father's body in his arms. This story is based on that scene and what leads up to it. Please read and review. Summary: What's big and red and carries a huge gun? A brief encounter between Hellboy and a frightened, but inquisitive young woman. Please read and review. Summary: What does Hellboy see when he looks in his mirror? Please read and review. Summary: My favorite fandom goes out for Chinese. What do they get as their fortune from those intriguing little cookies? Please read and review. Summary: It all started with a special evening in 1949. There are now two epilogues, one post the 2004 movie and one post "The Golden Army". Beware spoilers if you haven't seen either the first movie or "The Golden Army". Please read and review. Summary: A young Hellboy encroaches on forbidden territory and suffers the consequences. Please read and review. Summary: The transformation of a young Hellboy into a hero. Please read and review. Summary: Submitted in honor of Father's Day. Please read and review. Summary: A conversation between an estranged father and son. Comicverse. Please read and review. Written for a drabble contest. Summary: Written for a challenge to base a story on "What is it?" Two plumbers break into an underground chamber in the basement of a hospital and make a strange discovery. Please read and review. Summary: A little movieverse story, written to a challenge. One British scientist of the paranormal and a group of American soldiers peer up at an odd creature. Please read and review. Summary: Just a little movieverse fic featuring Hellboy, Abe, and some intriguing yellow colored candies. Written for a challenge to meld your favorite fandom with a particular Easter candy. Please read and review. Summary: The destruction started when she was eleven. Everything Liz ever loves, everything she ever cares about eventually disappears into the flames that she cannot control. Now it has happened again and this is the aftermath. Please read and review. Summary: The year is 2003. Liz is gone again. Hellboy and Broom have an argument about the new lock installed on Hellboy's door. Did Trevor Broom indeed break a promise? Please read and review. Summary: In both the original comics and in the motion picture adapted from it, the death of Trevor Bruttenholm is a devastating life-changing event for Hellboy. This was written for a FanLib contest and is an AU comicverse parody. Please read and review. Summary: What would happen if Hellboy had made a different choice? A very dark, definitely AU retelling of the conclusion of the movie. Please read and review. Summary: Hellboy, Abe, Kate, and Liz celebrate New Year's 2005, the first since the death of Trevor Broom. Chapter Two added. Please read and review. Summary: It's Christmas of 2005 and Hellboy is a little upset with Liz and a lot missing his father. Please read and review. Summary: A missing scene from my Hellboy fic A Tale of Demon Rights. After leaving New Mexico, but before moving to Boston, Hellboy and Broom lived in Washington, D.C. This details the Thanksgiving spent there. Any feedback would be welcome. Thanks for reading. Summary: A series of chapters about important people in Hellboy's life. This is jumble of stuff from the film with a smattering of characters and plot elements from the original comics. Deviations from either the film or the comic are intentional. Summary: Couldn't resist posting a sequel to Hellboy's Halloween. This contains a little humor, a little nostalgia, a little sadness. Please read and review. Summary: OneShot. The aftermath of the events in Moscow. What is Hellboy planning on doing about the possibility of developing a relationship with Liz Sherman? Please read and review. Summary: A man and his thoughts on one particular night in January of 1945. Please read and review. Summary: Hellboy watches his new favorite TV program and Trevor Broom ends up joining him. Just a little oneshot. Please read and review. Summary: It's Mother's Day in 1961 and one woman in Boston is feeling just a little lonely. Please read and review. Summary: Couldn't resist posting these. Stick words, etc. into a program, see hilarious stories come out. Not intended seriously, but good for a laugh. Rated 'M' since these tend toward the sexual. Summary: Movieverse drabble: Trevor Broom sees his certain death. Please read and review. Summary: HBLiz postmovie drabble. Please read and review. Summary: A confrontation with Tom Manning after Trevor Broom's death triggers memories for a grieving Hellboy. Please read and review. Summary: Trevor Broom and Hellboy celebrate Shrove Tuesday in the English style. Summary: OneShot. A thunderstorm wreaks a minor miracle in August of 1945. Summary: Two very significant Thanksgivings in the life of Hellboy. Summary: A conversation between Myers and Hellboy, written for the first anniversary of the death of Trevor Broom. Updated for some changes. Read and review. Summary: Events leading up to Hellboy and Broom's first Fourth of July together. 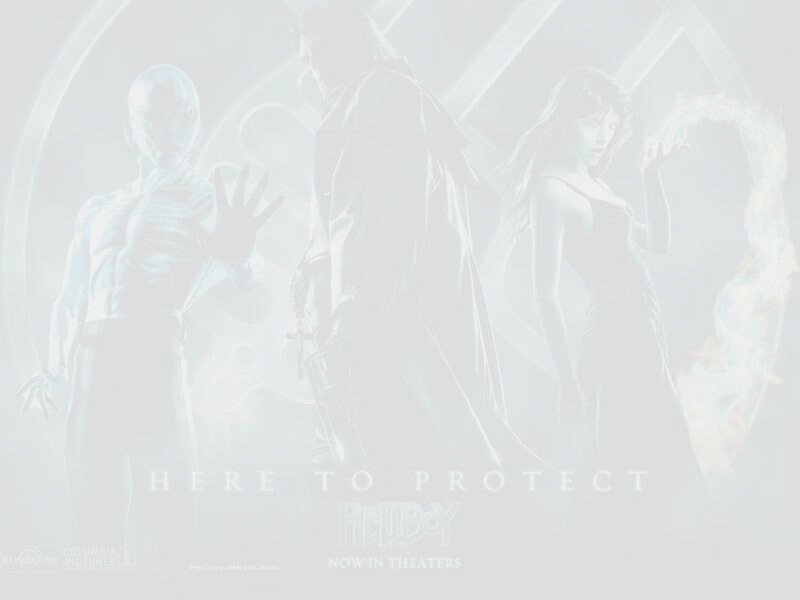 Summary: Maybe, just maybe, something interesting is about to occur in Hellboy's life. Summary: It is Hellboy's 80th birthday and both angst and romance ensue. Can a gift from a very special man on Christmas Eve help? Summary: A father and a son; two people, one nightmare. My first poem. Summary: Some moments between father and son. Merry Christmas! Summary: The Hellboy who is buried within the demon Anung un Rama tries to remember who he used to be before he became the demon. Contains big-time movie spoilers. Sort of sequel to "Father's Day Gifts" and "A Tale of 'Demon' Rights". Summary: Hellboy recalls the man who raised him. Contains movie spoilers. Stories that could be considered sequels to this: "A Tale of 'Demon' Rights" and "Remember Who You Are"
Summary: Trevor Bruttenholm considers Hellboy his son. How much are others willing to respect the status that this gives Hellboy? Do we owe respect to a demon? Complete with Part Three and Epilogue; Warning: Epilogue contains movie spoilers.